While your business is constantly engaged with what is going on inside the office, what’s happening around your commercial building needs attention, too. Set the stage for positive reviews, happy clients, and thriving employees by tending to your commercial landscaping needs! At Lawrence Landscape, we provide the commercial landscaping and lawn care services necessary to transform your business’s outdoor space into an attractive and well-kempt stretch of scenery. 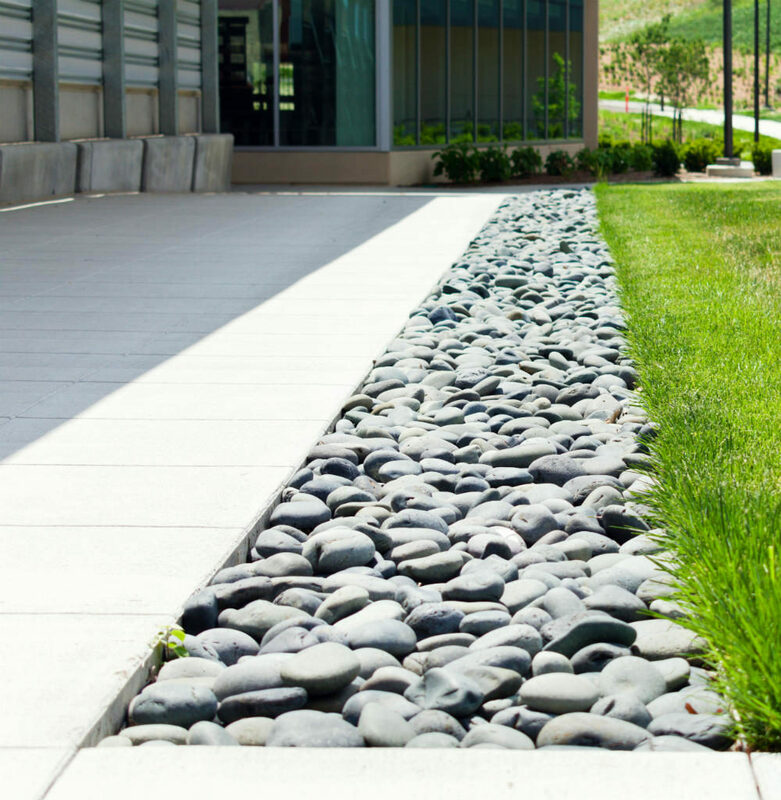 From routine lawn care to more intensive hardscaping services, we’ll help your storefront or business succeed! Does your business or storefront need routine maintenance or lawn care services? For customizable lawn care and landscape maintenance services, Lawrence Landscape offers an array of high-quality services. Contact our commercial landscapers in Lawrence today to schedule landscaping or lawn care services in the Baldwin City, Eudora, Midland, Ottawa, or Tonganoxie area! Many business owners are looking to hardscaping services to give their building’s surroundings a better look, feel, and atmosphere. At Lawrence Landscape, we’ll help you design your landscape using the help of our professional craftsmen and landscape designers. To schedule hardscaping services for your commercial lawn or landscape in the Lawrence area, contact us today! If you need any of these landscaping services for your business or company, contact our commercial landscape contractors in Lawrence today! We also service the Baldwin City, Eudora, Midland, Ottawa, and Tonganoxie areas. Our specialists at Lawrence Landscape are exceptionally familiar with bid-build scenarios and welcome you to request a consultation, whereby our craftsmen can provide you with the expertise you need to get your project completed on time and on budget. We work with projects of any scope or size! 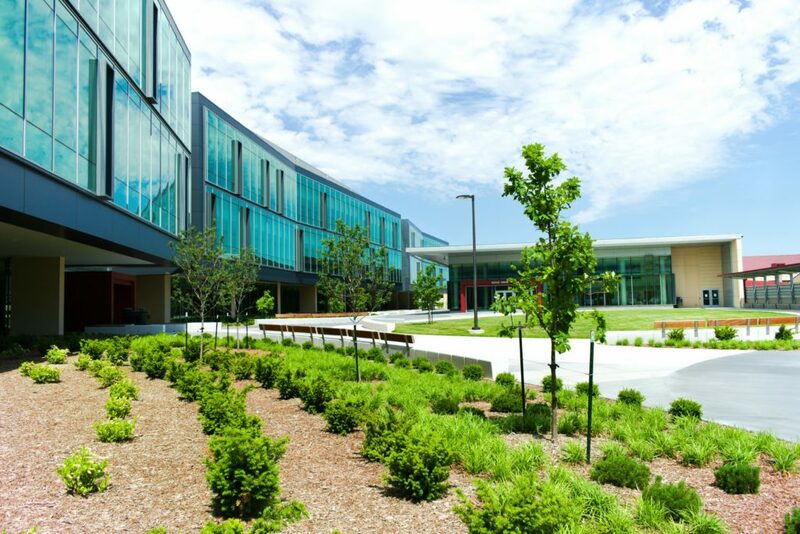 For proven commercial design and build landscaping services, you can count on our team. Our commercial landscape contractors are equipped to serve you as the single source for all of your property’s landscaping projects. 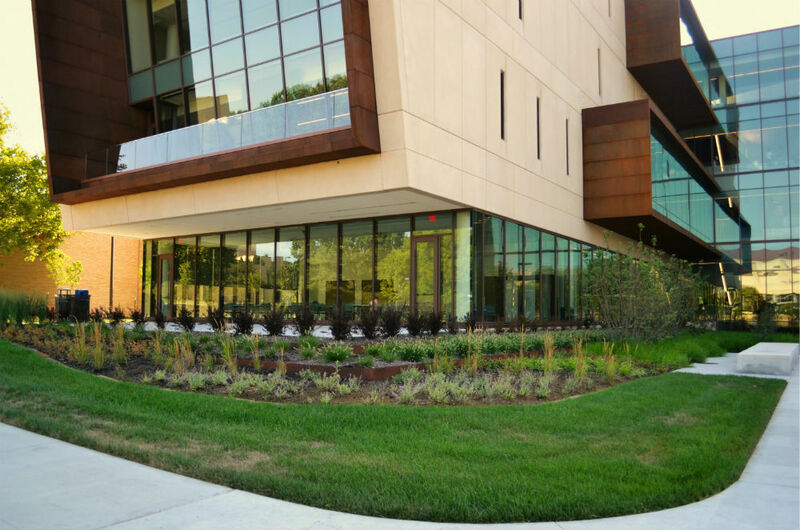 Only a professionally-installed commercial irrigation system will do when it comes to promoting a healthy landscape for your building or office. Irrigation saves time, stress, and removes the need to dedicate a groundskeeper to manage irrigation on your property. Planning your new landscape construction project with us can save immense time and energy for your business in the long run. At Lawrence Landscape, we can offer you the very best. Our experienced landscape contractors can help design or build several hardscape features, including concrete structures, patios, outdoor spaces, walkways, fencing, and so much more. Contact us today! Quality, cost, and convenience are all factors to consider when hiring a professional landscape or lawn care team. At Lawrence Landscape, we have been providing high-quality, reliable lawn care and maintenance services for many years with honest pricing we stand behind. When it comes to maintaining your property, our commercial landscapers in Lawrence can provide complete lawn and landscape maintenance services. Is your building’s landscape missing a few trees? Lawrence Landscape has been nurturing a beautiful tree farm that we welcome you to visit. Even installing a few trees into your landscape can dramatically improve the appearance of your building and invite the pleasantries of birds, butterflies, and flowers. Contact us today to ask about our commercial landscaping services in the Lawrence area! At Lawrence Landscape, our business is highly focused on saving you time and money with superior lawn care and landscaping services. The upkeep of your commercial landscape or lawn area is not only important—it’s crucial for your business’s success over time. Our team at Lawrence Landscape looks forward to providing you with five-star lawn care and landscaping services. Contact us today to schedule commercial landscaping services in the Lawrence area!